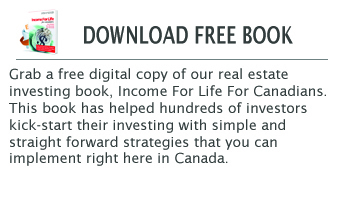 Learn The #1 Real Estate Investing Strategy That Has Created Millions In Cash Flow For Canadian Investors Without Touching A Hammer! "So What Will I Learn At the Upcoming FREE Class Anyway?" The types of homes we prefer to invest in and why. The specific tactics we use to implement one of our favorite strategies. How we get a massive return on our initial investments within weeks of closing. We are more than a real estate investing group, we are a community of action takers. If You Hesitate You May Miss Your Opportunity, Register Now for the Free Real Estate Investing Class! to move forward and set myself higher and higher goals. As you know I was very impressed with the whole Inner Circle system and team, you guys are the best. Now I'm completely sold, I just did what the system said to do and when I needed answers to problems, made that call and got right back on track. Your system is everything you guys said and more, all I had to do relay, was work the plan! Please thank all your team nick, for the great help and encouragement given to me during my first investment property purchase, It's a good feeling to know you are backed by a super skilled team of experts. Thank you all very much for everything." "I got started quickly and was able to purchase my first property with the help of Tom & Nick's Inner Circle system. In just a short seven days, I had $13,100 literally in my back pocket, $220 of monthly cash flow, and locked in profit of over $20,000. I'm currently excited to buy more properties. Tom and Nick offered me a sense of security because I knew that I was not alone throughout the process and they were there to help me make the best decisions. It's a great feeling knowing that you have real estate mentors/coaches who have actually done it and done it so many times that they can identify any pitfalls early in the investing cycle. I ran into the couple traps that I was able to avoid thanks to the Income for Life system. Also, the Inner Circle team includes their lawyers, accountants, home inspectors, mortgage brokers who are all familiar with investing. All that professional experience behind me really provided amazing confidence throughout the process. And lastly, whenever I had questions during the time I was placing a tenant/buyer in my property they were available to answer questions on a daily basis." with you in the months and years to come." I would just like to add that we have got involved in a few ventures over the past few years including rental properties in less desirable areas. When I saw your add in the paper regarding purchasing nice homes in nice neighbourhoods it peaked my interest. I must say I was very skeptical at first. I attended the first introduction class and was sold on your up front, down to earth action plan. What really got me was the low cost to become a member. It was so ridiculously low I can't even remember the amount. My sincere thanks to all the folks behind the scenes at Rock Star Inner Circle and especially to Leslie for her relentless efforts to ensure we stayed on the right track. I look forward to working with all of you for years to come." trying to take a sip of water from a fire hose. Are you doing "okay" with a current rental property or two? Well, who wants to be just "okay"? You didn't start out saying, "Let's start an okay real estate investing business". upcoming class. Because even the slightest improvement to your investing will be 100% profit. And let's face it, deep down you know you could be doing even more! Donald Trump II we're here to tell you that you can do better. Much better. no flash light and no map. 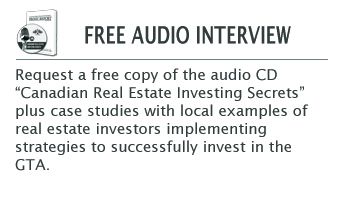 What good is all the real estate information you've read or listened to without a guide to show you the way? We tried writing "nothing down" offers at a point in time when interest rates were at historic lows. We didn't have a guide to tell us that "nothing down" offers are best used when interest rates are in the teens (think early 1980's). It was a kind older gentleman that gave us this insight after turning down our offer on his investment property. We then realized that we were reading books and trying strategies written and designed for a different time. You see, when real estate investing you should follow proven principles. Principles are universal and don't change. Things like buying in fundamentally good areas and focusing on fundamentally good properties are strategies that stand the test of time. 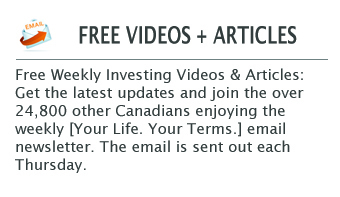 So a good real estate investing system isn't something that was used 25 years ago. And a good real estate investing system isn't so full of theory that it can't be implemented. A real estate investing system needs to combine the time tested principles of real estate investing with the "on the streets" tactics that work right here in the Greater Toronto and Golden Horseshoe Areas today. It needs the support of a community that shares its successes AND its challenges. That's how we all grow, improve, succeed and profit. The people who attend this class will have the ability to master real estate investing at a new level. Don't miss this unique experience.